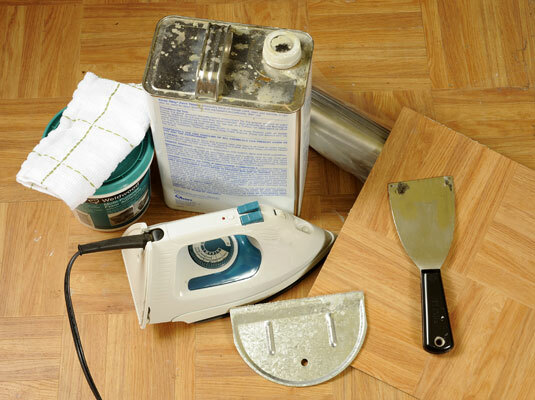 Gather your tools: Replacement vinyl tile, heat gun or iron, tile adhesive, putty knife, notched trowel, mineral spirits, rags, rolling pin. You need just a small tub of tile adhesive. 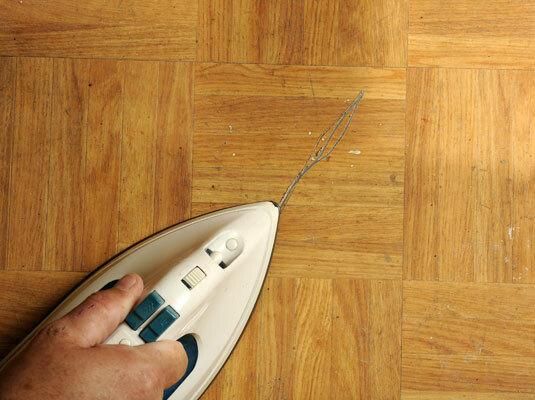 Apply heat to the damaged tile with the heat gun or warm iron to soften the adhesive underneath. You want to make the adhesive soft, but don’t melt the vinyl. 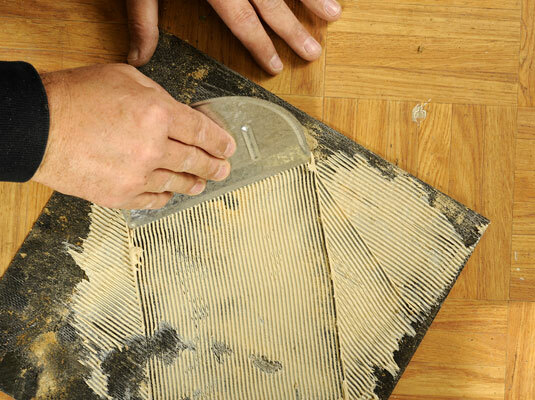 Lift out the old tile by using the putty knife. 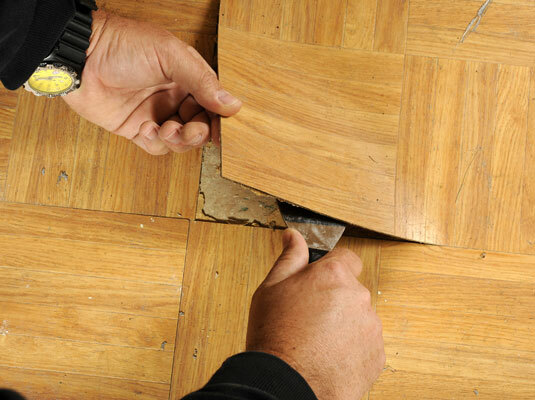 Start at one corner or side and work your way to the center of the tile. 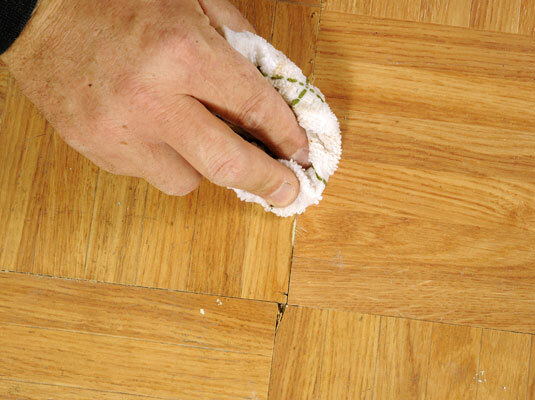 Use mineral spirits to soften the old adhesive on the floor. Mineral spirits work great to dissolve the adhesive. Scrape away the old adhesive. Use your putty knife or a scraper to scrape away the gooey adhesive. Trowel on some adhesive to the new tile. Coat the underside of the new tile with adhesive. Put the new tile in place. 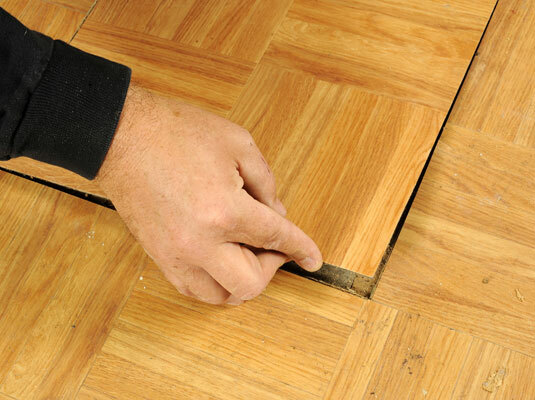 Be sure to get the tile positioned just right. 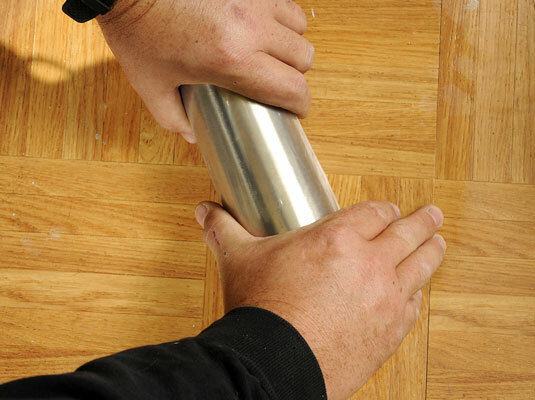 Roll the tile with the rolling pin. Press hard as you roll the pin to get rid of any trapped air pockets, which can cause the tile to lift up. 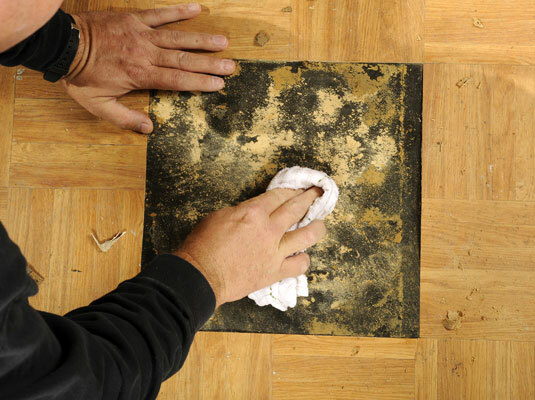 Dampen a rag with mineral spirits and wipe away excess adhesive around the edges of the tile. 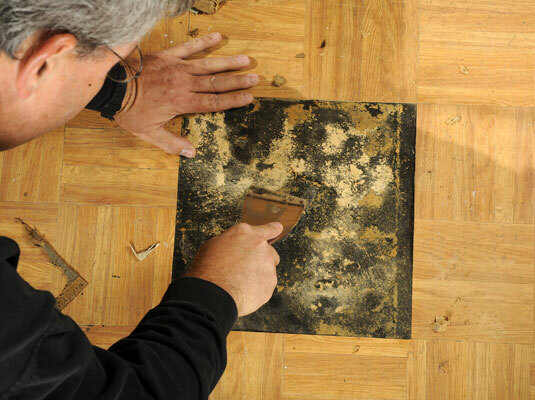 Dirt, pet hair, and more will stick to any bit of residual adhesive, so clean thoroughly.